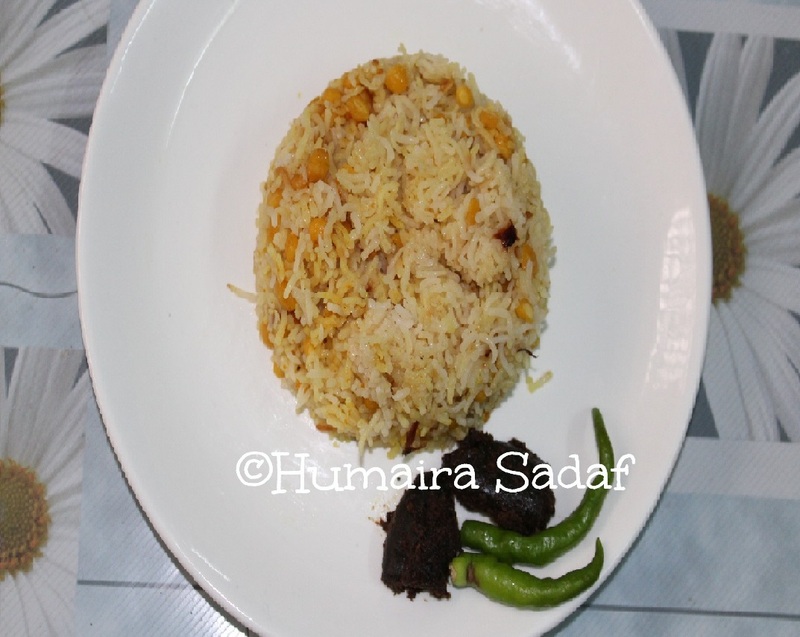 Qabuli biryani is an aromatic and lot of flavor dish of a biryani made with chana dal. 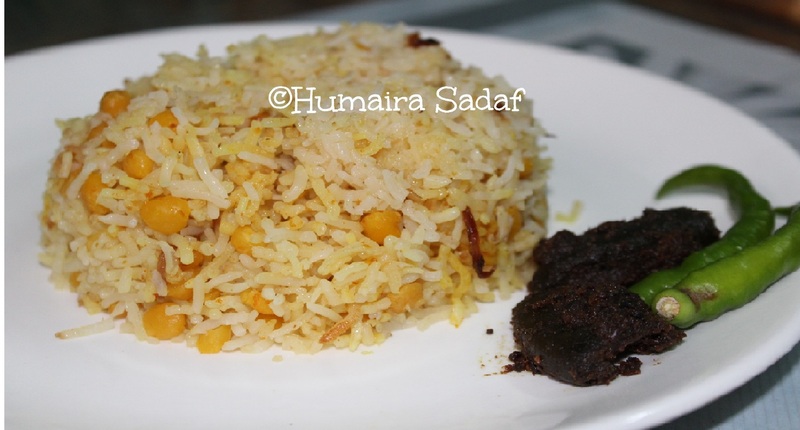 This was a spiced and a delicious dum cooked and layered biryani with chickpeas. 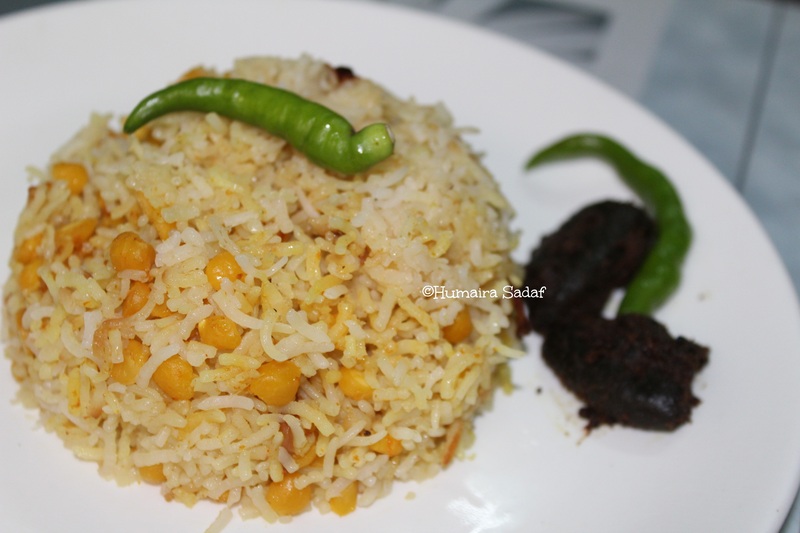 We can say that this is a kind of pulao with full of flavours. ⅓ cup coriander leaves, ⅓ cup mint leaves, ¼ teaspoon saffron dissolved in 2 tablespoons milk, 2 finely chopped green chilies. HOW TO MAKE QABULI BIRYANI ? Soak the chana dal for 1 hour and drain it. Heat 1 ½ cups water in a pan and add salt to it. When the water comes to a boil, add the chana dal and turmeric powder. Stir and cook in a pan on medium flame till the chana dal gets cooked. Keep the cooked dal aside. Soak the basmati rice for 30 minutes. In a pan, add the basmati rice with salt and water. The pan covered till the rice is about 3/4 cooked. Heat oil in a pan and add the sliced onions till the onions golden brown. Remove 1/2 of the browned onions and keep aside. These onions will be used for layering the biryani. Add ginger-garlic paste in a pan and saute for 1 minute. Add the yogurt slowly and stir. Add the turmeric, red chili, garam masala powder and salt. stir and cook for 2-3 minutes. Add the cooked chana dal and again stir and cook for 2-3 minutes and keep the chana dal gravy aside. In a large pan make a layer of the chana dal gravy. Add the chopped mint, coriander, green chilies and fried onions. Make another layer of half of the cooked rice. Top the rice layer with some mint, coriander, green chilies, fried onions and saffron. Prepare a third layer of the dal gravy again. Top the dal gravy again with the mint, coriander, green chilies and fried onions. The last and fourth layer is of the rice again. Top the rice layer with the remaining mint, coriander, green chilies, fried onions & saffron. Cover the pan with a tight lid and keep on medium flame. Cook the biryani on dum for 25-30 minutes. Serve Qabuli Biryani with a salad/ raita/pickle. ive always wanted to try cooking for experimentally and this sounds perfect! Have not eaten Chana Biryani, Will try it next weekend. Wah ji wah i love choley biryani.. like how you infused ut with saffron. I love this biryani. It is my favourite. Wow! This looks yum and pretty simple to cook. Definitely gonna try it. 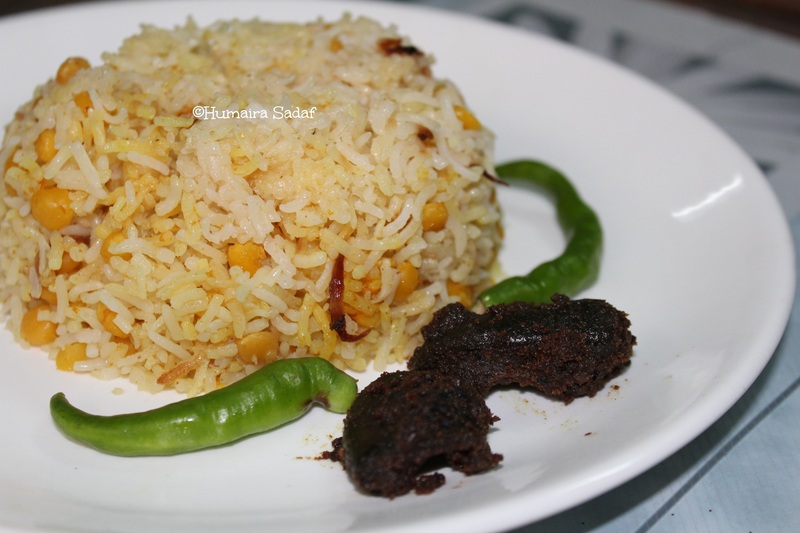 Veg Biryani’s recipe. This is great!